Around the beginning of the year, I noticed planning department signs on several buildings on Queen Anne Avenue, the commercial street in our neighborhood. There were plans afoot to demolish about half a block of old two-story commercial and apartment buildings, and build a four-story mixed-use building on the site. One by one, the restaurants and shops in the existing buildings closed their doors. We worried that our local hardware store, officially an Ace Hardware but clearly of an earlier vintage than the modern suburban Ace, would be one of the businesses to go. Fortunately, that was not the case; the building adjacent to it was the last in the row slated for demolition. I am quite taken with "ghost signs", the faded, peeling remnants of ads painted on the walls of old buildings. While some of these signs advertise products, such as Coca-Cola, that are still available, many are ads for stores or products long gone. This sign, almost too vivid (thanks to long-wearing leaded paint) to be considered a "ghost", was painted on the very store that it advertised. 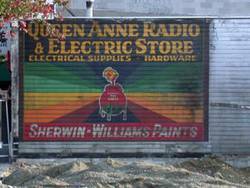 The local Ace Hardware was once Queen Anne Radio & Electric. 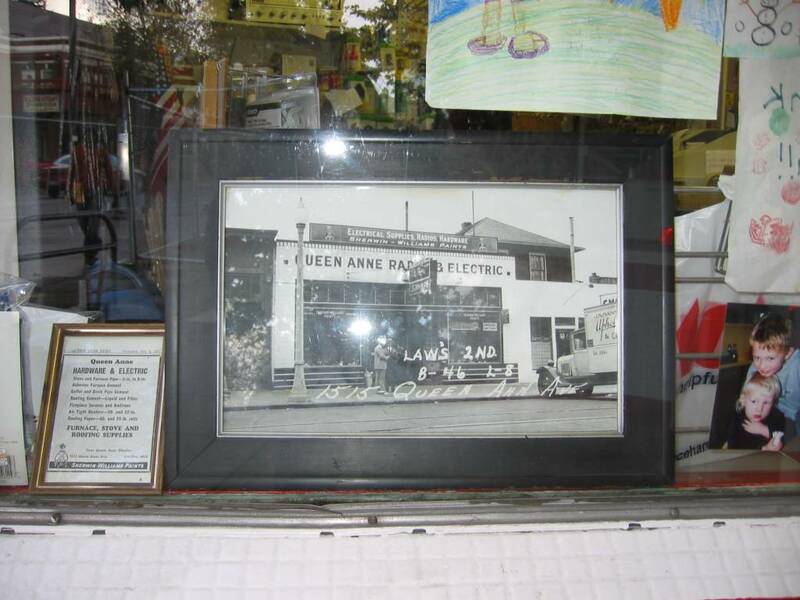 And in the large plate glass window at the entrance to the hardware store, along with photos of and artwork by the owner's grandchildren, is the documentation of that. 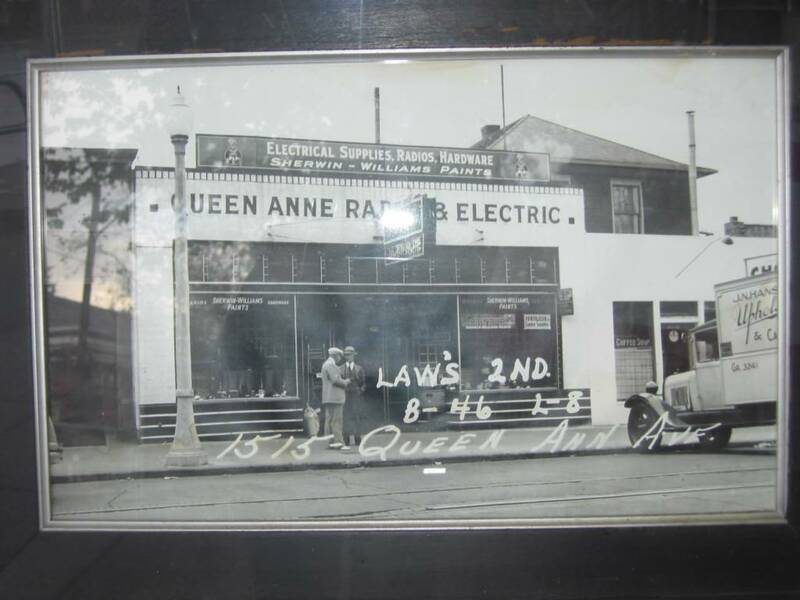 There's a photo of the building, Queen Anne Radio & Electric, taken in the late 1930's, and a framed advertisement from 1947, in which the name has been changed to Queen Anne Hardware & Electric. 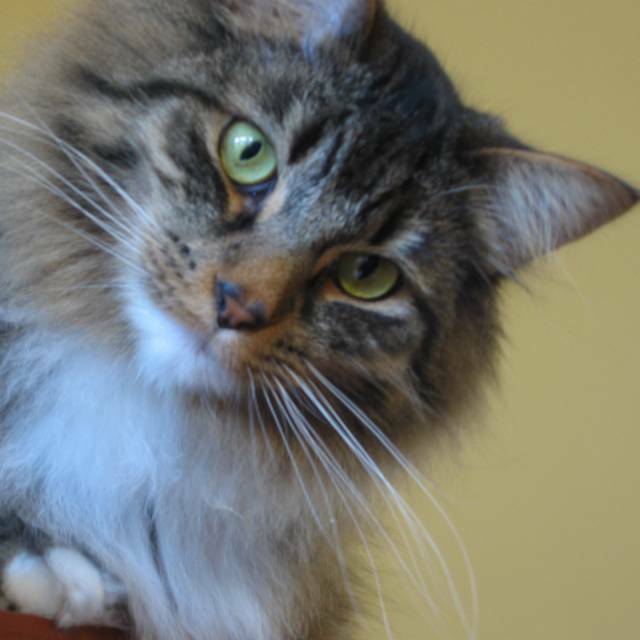 The photo was taken as part of the King County Land Use Survey, a project of the Works Project Admini- stration. From 1936 to 1940, Survey workers identified, assessed the condition of and photographed every building in King County. This project employed several hundred people, and cost a little over 2 million dollars. 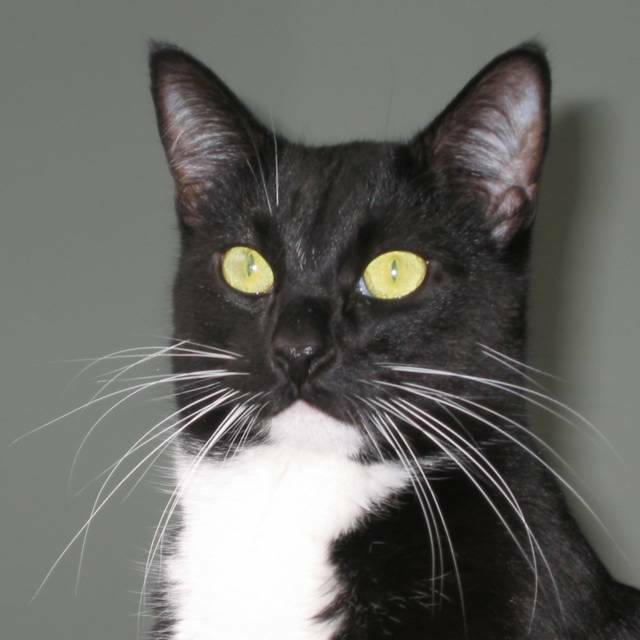 At the time, it provided a long-needed update to the tax records of King County. Now, the photographic record is an invaluable resource for people who are interested in the history of the area, or just in the history of their own old house. We have a copy of the photo taken of our house for the survey; I'll scan it and post it here someday. There's an interesting article on the survey at HistoryLink; the records are now part of the Washington State Archives. I'm curious about the history of the ghost sign, and this photo tells me a lot. It shows a storefront adjacent to Queen Anne Radio & Electric. (The sign in the window says "Coffee Shop." How… Seattle.) So I know that by 1936 the sign had already been hidden. Directly behind the coffee shop is the second story of a very typical early-20th-century Seattle house. In the 1920's and 1930's, it was fairly common to add this sort of small commercial space onto the front of a house, creating a situation where the family lived behind their store, rather than over it. The house looks older than the Queen Anne Radio building; the storefront is clearly newer. I assume that the 6-block commercial district of Queen Anne Avenue was originally entirely residential. There are still several old houses on the street, all now occupied by businesses. I think that at some point in the late 1910's or early 1920's, a house was demolished to make way for the Queen Anne Radio building. 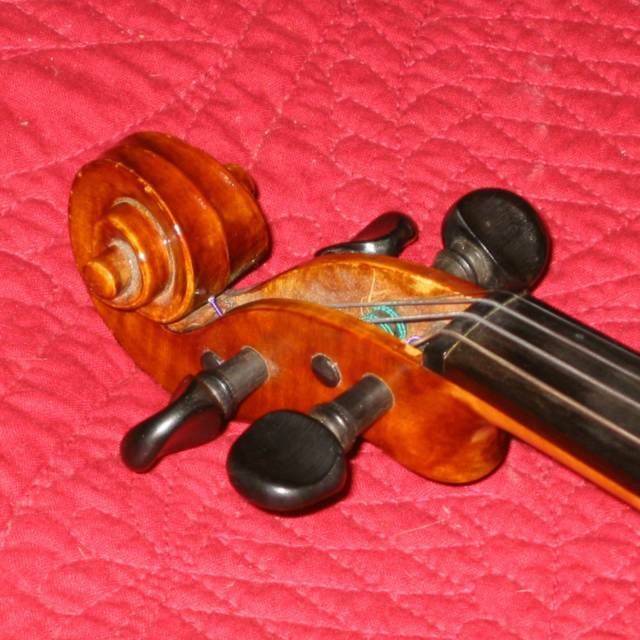 (You know, I could be completely wrong about this. While the store’s brick façade says 1920's to me, the side wall of the building, on which the sign is painted, is lapped wood siding. The commercial building might be older, with a brick façade that was added later.) Anyway… the sign was painted on the portion of the wall between the street and the front of the adjacent house. (Just think how happy that must've made the neighbors!) 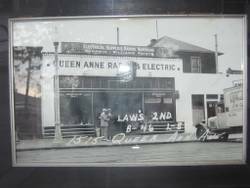 Sometime before 1936, the owner of the house built the coffee shop storefront, covering - and therefore protecting - the Queen Anne Radio sign. So the sign was hidden away for at least 68 years, until last month, when the bulldozers brought it back into view. And it will soon disappear again behind a new, much larger building, one that is likely to outlast the old Queen Anne Radio building. 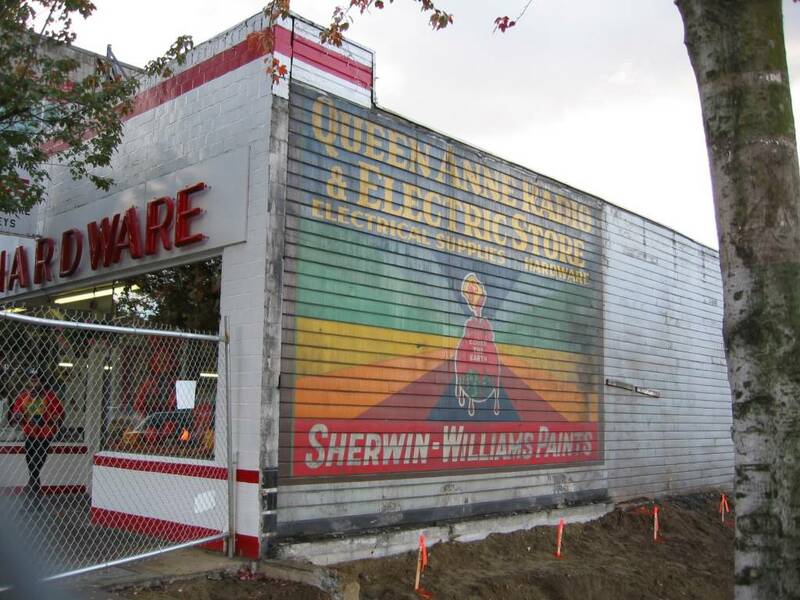 So unlike Brigadoon, which reawakens every hundred years, the Queen Anne Radio & Electric sign is probably taking its curtain call. I'm going to miss it.